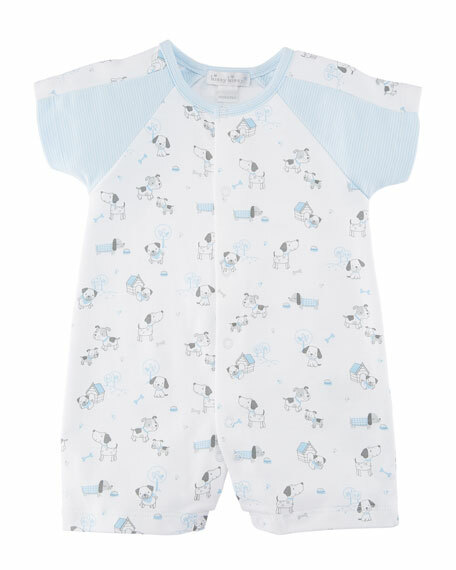 Kissy Kissy printed shortall from the Dogs Day Out collection. 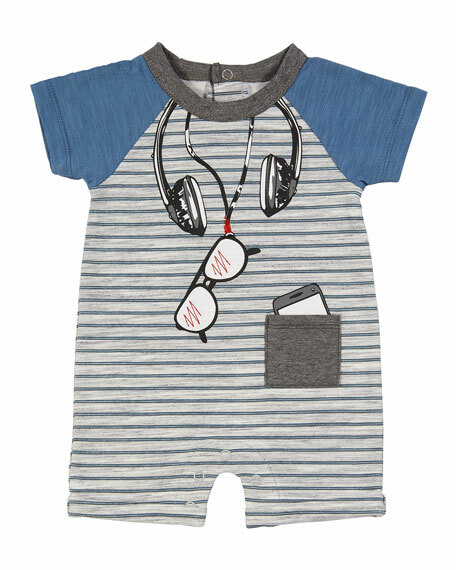 For in-store inquiries, use sku #2537185.
bonniemob shortall in multicolored brushstroke print. Smiley face apple appliqu with 3D ribbon legs. Crew neckline; snaps at left shoulder. Snaps through legs. Organic cotton/spandex. Imported. 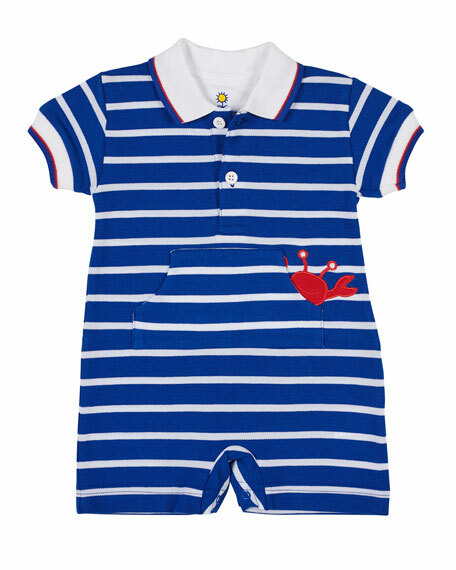 Miniclasix striped shortall with trompe l'Oeil detail. Headphones, glasses, and cellphone detail. Crew neckline; snaps at back. Short, raglan sleeves. Snaps through legs. 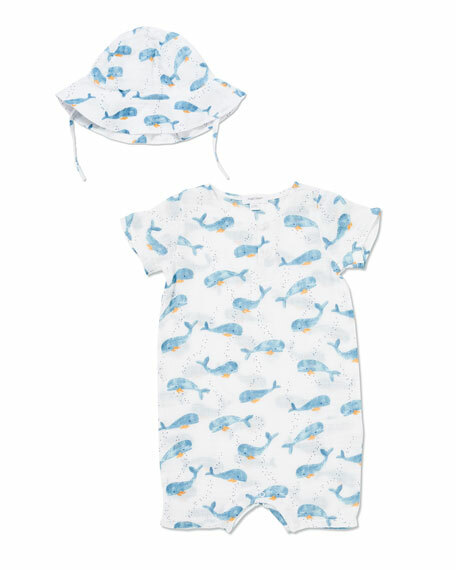 Body: cotton/polyester. Sleeves: cotton. Decoration: cotton/polyester/spandex. Imported.